Feeling ready to learn something new? 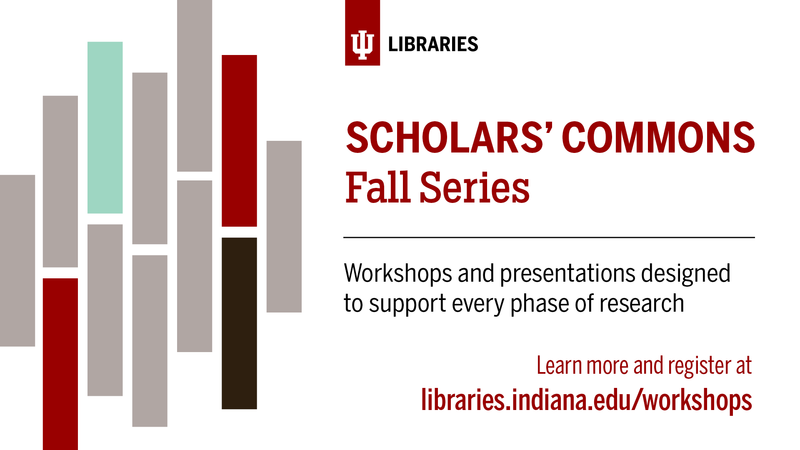 Stop by for any of our free workshops in the Scholars' Commons this fall, taught by a variety of experts from around the libraries and around campus. Stop in for popular series like Maker Mondays or the Digital Libraries Brown Bags, and check out new titles as well - maybe citation management or open access journals?